These will be a new breakfast tradition for us. 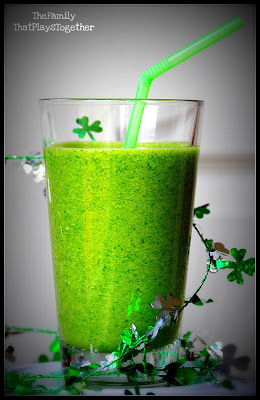 At first, the thought gulping down a thick green drink didn't thrill me. By the second sip I was hooked! You'll be proud to serve this nutrient packed drink to your family too. What better day to have your kids try this than on St. Patty's Day?